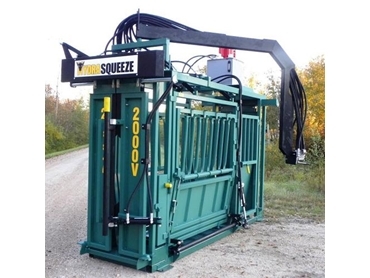 Arrow Farmquip offers a 240V fully hydraulic squeeze cattle crush featuring a plug-and-go operation. The hydraulic cattle crush comes with a heavy duty hydraulic head bail, heavy duty hydraulic split rear gate and dual hydraulic parallel squeeze. The top and bottom operate independently.